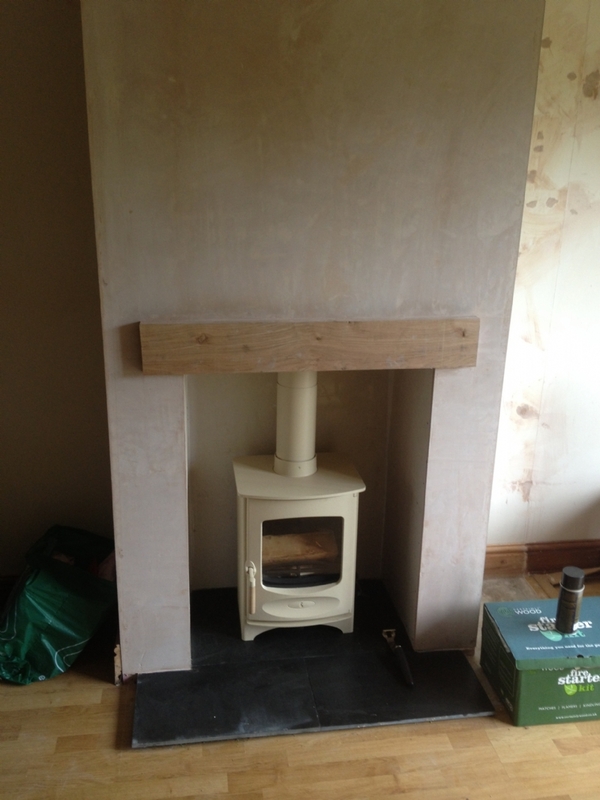 Charnwood c4 in almond wood burning stove installation from Kernow Fires. 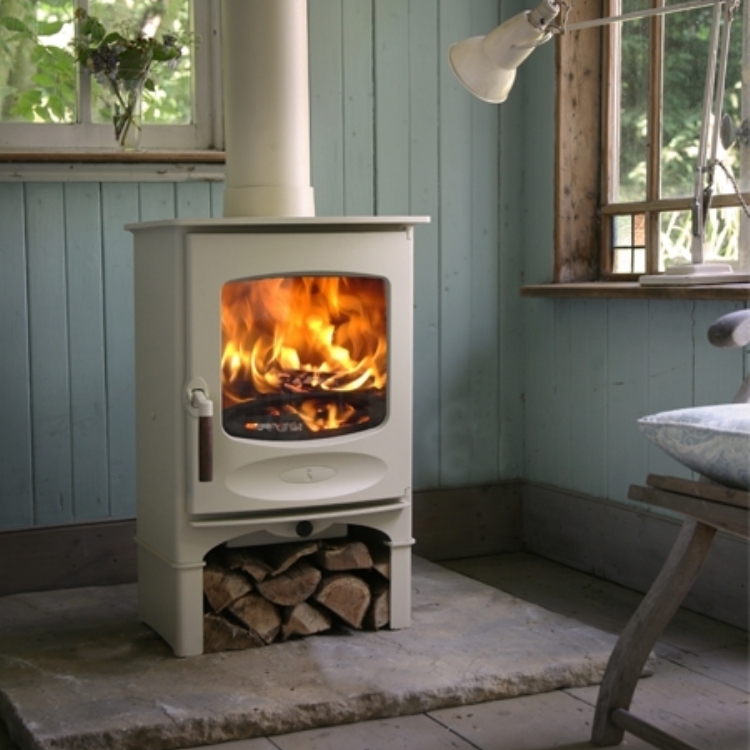 The Charnwood C4 fits both of these requirements being a low putout fire at only 4kW and in this case being painted Charnwood Almond. 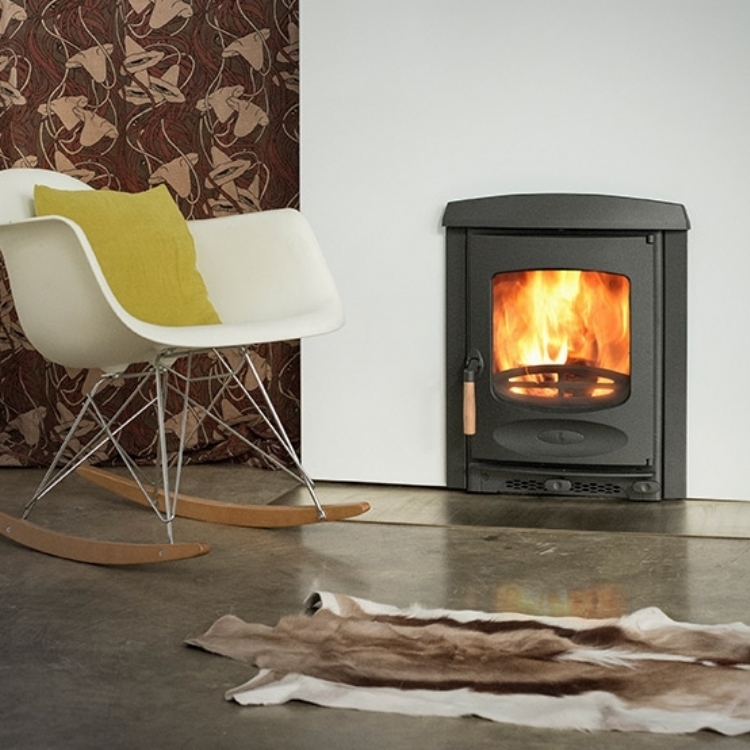 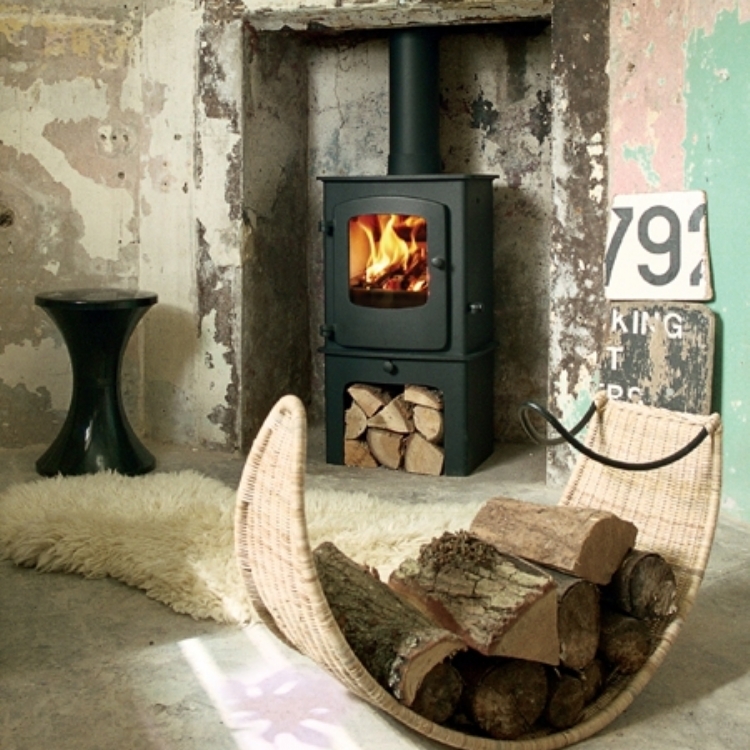 Charnwood stoves come black as standard but they offer a variety of colours at a small extra cost.